Extraordinary coastline with 1244 islands and crystal-clear sea, medieval towns surrounded with ancient walls, beautiful beaches and sunny weather are all the things that made Croatia so popular among travelers in the last years. But, there is lot more to explore in this little country besides the coastline – Croatia has 8 national parks, 11 nature parks, 10 World Heritage sites and great local food & wine across the country. 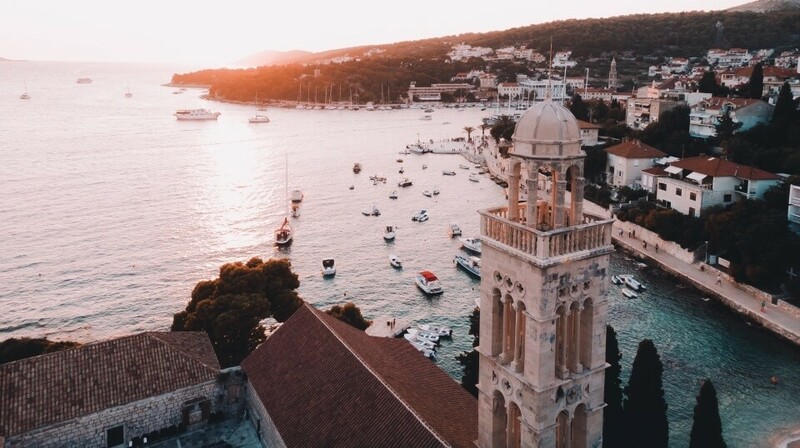 Croatia should definitely be on your holidays list, and if you are planing a trip to this Mediterranean country here are some things you should know. Although Croatia is a part of EU, Euros are not officially accepted and you can’t pay legally with them in Croatia. Local currency in Croatia is Croatian Kuna, with 1€ being approx 7,5 HRK. Although you can pay with your bank card almost everything in Croatia, it is always better to have some cash in local currency with you. You can get HRK at the ATM or, if you want to get better exchange rate, you can exchange euros to kuna in local banks and exchange offices. Croatia is packed with tourists in the summer, especially in late July and August. Meaning that you can expect crowds, traffic jams, and it may be hard to find a place to sleep (you should book in advance!). If you are not visiting one of the music festivals in the summer or you don’t just want to lay down on the beach and swim and sunbath all day, you should avoid peek season. If you are planning to explore national parks and coastal towns – we suggest to visit Croatia in spring or autumn, . On the coastline daily average temperatures are 13°C in April ( they can reach a high of 17°C and only go as low as around 9°C) with 13-14 sunshine hours on avg. In May daily avg temperature is around 18°C and goes up to 21°C. Traveling during off-peak season can mean lower accommodation prices, lower entrance fees (national parks and sightseeing), and less crowded places. Don’t just go to Dubrovnik, Split and other coast towns – Croatia has 8 national parks that are all located near the coastline. You can book a day trip or excursion with a local travel agency and explore beautiful nature of this small country with a help of local guide. Here you can check our recommendation of top ten places to visit in Croatia. Getting to Croatia from any part of Europe is quite easy. From April through September many European airlines have direct flights to all major Croatian airports. Water supply system is controlled regularly and tap water in Croatia is safe to drink. You will find olive trees and vineyards from Istria in the north to Dubrovnik in the south. Croatian wines and olive oils are of an excellent quality and you must try them. We also suggest to buy fresh fish and homegrown fruits and vegetables at local markets, and enjoy local food in small restaurants. Most of Croatians speak at least some English. People working in tourism often speak more than one foreign language, with English, German and Italian most widely spoken.